Hanoi (VNA) – Naval ship HQ 012-Ly Thai To of Brigade 162 of the Naval Region 4 anchored at Tanin Tharyi port in Myanmar on April 3, beginning a friendship visit to the country. 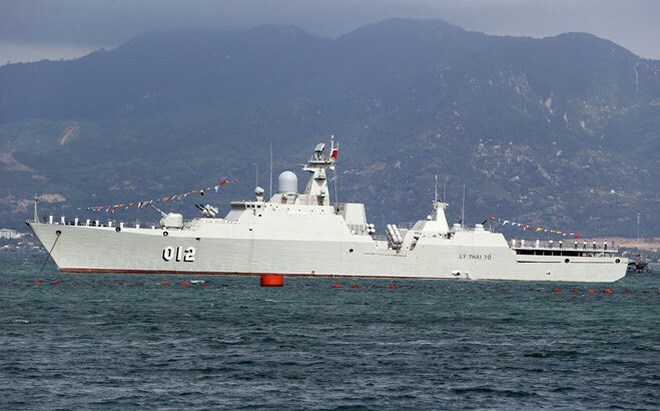 The visit followed the ship’s attendance at the 2019 Langkawi International Maritime and Aerospace Exhibition (LIMA 2019) in Langkawi, Malaysia. Welcoming the first visit of a Vietnamese naval ship to Myanmar, Deputy Commander of Tanin Tharyi Naval Region Colonel Tun Lu expressed his hope to see more similar visits to contribute to strengthening relations between the two armies and navies. On the same day, the Vietnamese delegation on the ship, led by Colonel Nguyen Cong Son, Deputy Political Commissar of the Naval Region 4, paid courtesy visits to Commander of Tanin Tharyi Naval Region - Zwe Win Myint, Commander of Myeik Coastal Military Zone - Maj. Gen. Thaung Htike Shwe, and Minister in charge of security and border affairs of Tanin Tharyi region - U Kyaw Zaya. At the meetings, representatives from Myanmar’s Navy appreciated the Vietnamese Navy’s goodwill to foster friendship and cooperation between the two navies by sending ship HQ 012-Ly Thai To to visit Myanmar. Son showed his belief that the visit will help intensify mutual understanding and trust between the two armies, and boost collaboration between the two navies.